Rainy days can be tricky, as your active toddler may feel cooped up inside. Why not help them expend some of that energy by arranging a toddler friendly assault course in the living room? This is the perfect game for adventurous toddlers. You can make it as simple or complicated as your child is comfortable with, and can use any interesting object or toy that you happen to have to hand. We like to challenge toddlers to jump over cushions, knock down the Jingly Jungle Animals, and play a tune on our Shape Sorter Xylophone. Don’t forget to have a prize for completion of the challenges; sweets always go down well, but stickers are a fun alternative! Toddlers love simple role play, so it’s a really fun wet weather idea to sit all of their cuddly friends around for a tea party. The Highland Cow and Roly the Laughing Dog make great teatime guests! A colourful Tea Set is all you need for this fun game, apart from your imagination, of course. It might be fun to add some real food to your party, but cuddly toys are just as happy with make-believe food, and that allows for a more elaborate menu! Of course, cake is always very welcome at tea parties! Kinetic Sand is just perfect for indoor play, because it’s tactile, fascinating fun, and mess free too. 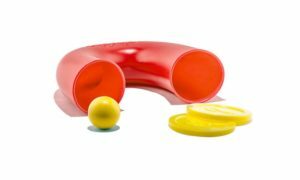 It never dries out and comes with a scoop and three colourful moulds to get you started, but with a bit of extra imagination you can play with other favourite toys as well. Toddlers who love diggers and trucks will enjoy experimenting with Smartmax Power Vehicles to scoop up the sand and move it around. You could also try adding in some stacking blocks for extra complexity. Beating the rainy day boredom has never been so much fun! Car races are a great idea for a rainy day activity, because it is as simple or complicated as you make it. Vehicles which can move on their own, like these Pull Back Town Vehicles, are the most fun, and it’s really exciting for toddlers to watch them all go. Toddlers who love racing will enjoy guessing which car will win. This activity is guaranteed to get your active toddler really fired up and entertained. Become a superhero for the day! It’s never too early to start saving the world. A great rainy day activity is becoming a superhero for the day! All you need is a blanket for a cape, a cool superhero name, and a whole load of super power. Toddlers will love saving their toys, or their Mummy, from the clutches of the mean bad guys. And every hero needs a sidekick! With a perfectly curved body, this 25cm tall Caped Crusader from Kaloo has the ideal shape to comfort little ones and hug as they drift off for superhero dreams. With a wealth of imaginative and creative ideas for playing indoors, rain needn’t stop play. The only limit is your imagination, so let us know what other wet weather games you can dream up! 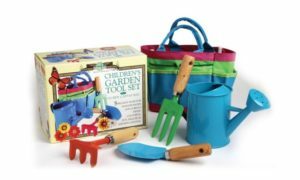 Check out our Best Of Page for rainy day toys! I’m saving for a rainy day. So far, I have an anorak, a couple of macs, and a dinghy. Success! Email has been added. The Best Dinosaur Gifts – For Roarsome Children. 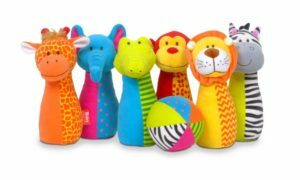 PREVIOUS STORYThe Best Bath Toys For Kids Who Hate Bath Time! Like our blog? Get our newsletter!